← A Frigid New Paper Editor Asks : Should your neighbourhood pharmacy sell vibrators? SINGAPOREANS are familiar with the levy of goods and services tax (GST) on their purchased items in malls and supermarkets, but when a neighbourhood coffee shop began to do the same recently, many customers were shocked, with some even angry as they were made to pay more than they are used to. Although the coffee shop is not the first branch under the Rasa Rasa Food Fiesta company to charge the 7 per cent GST, such a practice is apparently unheard of for many customers, according to local Chinese evening dailies. “Now a packet of chicken rice priced at $5 would cost me an extra 35 cents. I think this is unreasonable,” Lianhe Wanbao quoted a 25-year-old man who frequents the halal branch in Jalan Teck Whye as saying yesterday. “This is not some upscale restaurant, only a neighbourbood coffee shop. I don’t understand why it needs to collect GST. Besides, the extra charge is rounded up to the higher value,” said the customer service officer, surnamed Mak, who learnt about the shop’s GST only yesterday. A check by the paper revealed that a cup of coffee priced at $1.10 at the branch would now cost $1.20. A 52-year-old retail manager by the name of Aida said she was annoyed as her expenses at the branch would be higher now. “I’m considering switching to other coffee shops instead of patronising this one,” Shin Min Daily News quoted her as saying. Her husband was also upset, saying that the additional charge was outrageous as a plate of chicken rice, before GST, had already been expensive. But there were also customers who felt that the GST is not a bother, so long as it is in keeping with the law. Wanbao noted that other than two letters in fine print from the Inland Revenue Authority of Singapore displayed at the payment counter stating the branch’s new status, there was no prominent sign informing customers of the tax, which was implemented on Monday. Most customers said they did not notice the letters before placing orders for their food. 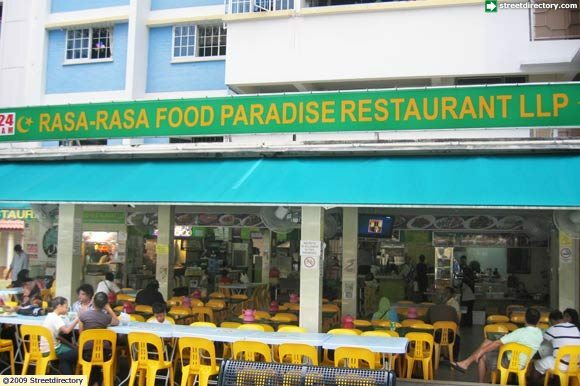 Steven Pang, who heads the Rasa Rasa Food Fiesta company, told the papers he had to impose the tax as the shop is now a GST-registered business, with its annual turnover having exceeded $1 million. He also said another coffee shop of his in Woodlands has been charging GST for many years without drawing any dispute. According to Hoon Thing Leong, chairman of the Kim San Leng food and beverage group, most of the coffee shops which fall within the GST ambit have chosen not to transfer the charge to customers so as to remain competitive. “Each operator has its own way of doing business,” said Mr Hoon.